It has been quit overwhelming the past few days gearing up for the trip to South America. 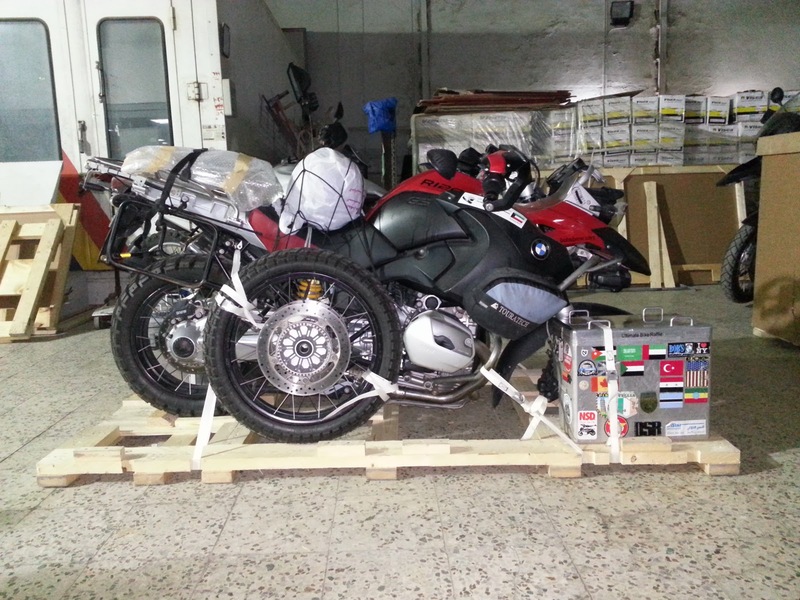 We finally got all our visas and papers that we require, and managed to get the bikes crated by recycling used crates for a BMW 1000RR provided by Tri Star who is the BMW Motorrad dealer here in Kuwait. 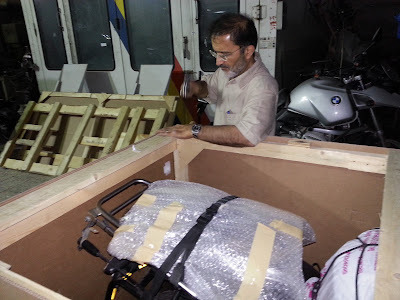 They also gave us a place to work and helped us drain the fuel from the tanks. 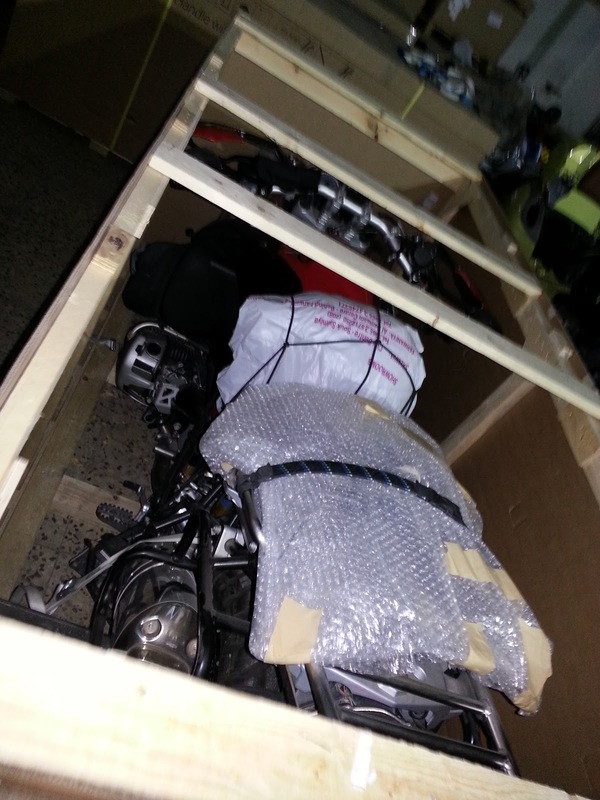 It took us about 10 hours spread over two days to finish all three bikes. Getting the shipping done was an adventure fixing the paperwork and paying for everything. So we are almost ready, all we have to do is finish a few other arrangements here and pack our bags, we always remember stuff at the last minute. We will be flying to Bogota Colombia in two days and I think that we would have not made it without the help and support of our friends..........Thank you.